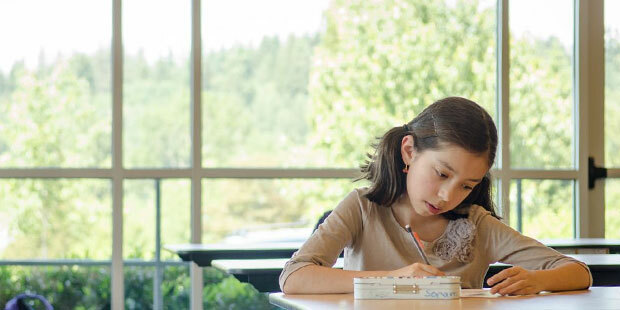 Our school philosophy at Bellevue Children’s Academy begins and ends with our firm belief that every child is gifted. We believe that each student has unique talents, inherent ability, and the potential to learn. We understand that everyone learns in different ways, which is why our after-school tutoring program is designed to help each student maximize his or her potential by focusing on individual needs. The majority of our tutors are teachers at Bellevue Children’s Academy ensuring your child receives a high quality educational service. Both one-on-one and small group tutoring sessions are available to suit the specific needs of each child. One-on-one tutoring is individually designed for each student and focuses on the student’s specific learning needs. Small group tutoring sessions allow for peer interaction, cooperative learning, and social skill development. Most of our tutors are teachers at Bellevue Children’s Academy, so your child will receive high quality education service. Both one-on-one and small group tutoring are available to suit the specific needs of each child. One-on-one tutoring sessions for all ages are individually designed and focus on the student’s specific learning needs. Small group tutoring sessions allow for peer-to-peer interaction, cooperative learning, and social skill development. Standard tutoring sessions are one hour each. We are happy to accommodate the needs of individual students by tailoring tutoring sessions upon request.